Ofcom tells us this week that local TV rollout is not to progress “in the light of the significant financial challenges that the local TV sector is facing”. For those who know anything about local advertising revenues that’s not a surprise. It was the idea of a smiling Jeremy Hunt in 2010, sat in his Culture Secretary chair. He described UK media as "chronically over-centralised”. He famously questioned why local television could work in Birmingham, Alabama but not Birmingham in the West Midlands. Per chance, at that stage, I was working at the major heritage commercial radio station in Birmingham, England. We gave some cursory thought to whether local TV would be a useful strand to our business. We didn’t even get through all the biscuits at that meeting. Even when sharing resources and televising radio programmes, it would still be challenging. And that was in England’s second city. We were also treated to some bubbly presentations from alternative bidders for the Birmingham licence, who sought to work with us. Their programming aspirations were high. As were their revenue expectations. It seems to me they’d worked out what they wanted to spend and, miraculously, their revenues appeared to match. No-one had troubled to write to all local car dealers informing them they’d they needed to double their advertising budgets. You cannot just double the amount of money in the local advertising economy just because you want to. And, of course, this was just at the stage when digital media was starting to eat giant-sized portions of our lunch. As it transpired, the Birmingham channel was late to launch, suffered early issues and is now in the hands of one of the two companies which own many of the UK local channels. Now, as Chairman of the channel in Notts, Notts TV, I am not embarrassed to say I was a cynic. The idea was flawed. I believe that, in the UK at least, you simply cannot create decent local television on the likely budgets from local advertisers alone. And the channel audiences combined across the UK would likely not be sufficient to reap any useful national revenues. In Nottingham, Notts TV is privileged to be supported by NTU. This ambitious league-topping University, which prides itself on giving its graduates real career prospects - encouraging entrepreneurship and outreach, gives us a range of support, some financial. Alongside our team of salaried media professionals, we make use of their students, not only of journalism, but also in, for example, history for the local history programme - and design for our sets. Any TV company draws upon all manner of skills, and when we boost our own resources by giving students hands-on experience of the real world, then they become the sort of graduates I’d hire tomorrow. They know what life in media is really like. Some early funding was also provided by the BBC to all channels. The Corporation paid an agreed sum - in exchange, we supplied them with any useful content they requested. Whilst in some areas, I gather, usage was low, I was pleased that the BBC in the East Midlands made good use of an appreciable proportion of our content. Even beyond that agreement, relations have been excellent and further material has been purchased on an ad hoc basis. It is not the BBC’s fault that its guaranteed funding has ceased, that was the design of Government’s plan. It is, however, puzzling that at a time when ‘fake news’, ‘media plurality’ and ‘local democracy’ are buzz-words and local press is ailing, the rug is pulled from our feet. We can survive without it, but even this modest amount would make a significant difference to our abilities. By modest, I mean the sort of figure I could save tomorrow from BBC budgets, without any damage. 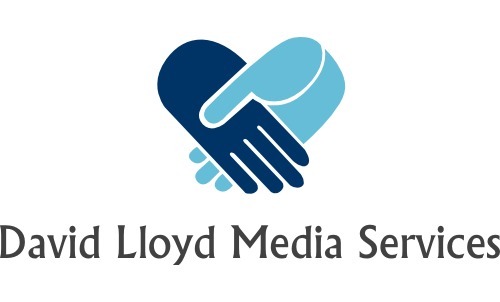 Commercially, we’ve found our niche, principally helping local companies create quality video advertising ‘profiles’ and branded content which they can use on their social media and online, and we broadcast. These revenues complement the non-traditional funding. Sadly, we don’t get a sniff of the ‘community radio fund’. That’s reserved just for, well, radio. 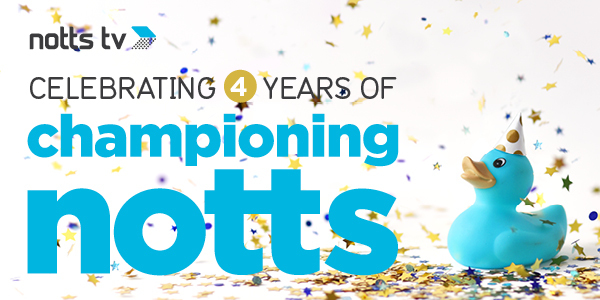 Notwithstanding the challenges, I am hugely proud of what Notts TV has achieved in the last four years. It is now a small, confident operation generating content 24 hours a day. It is not perfect - but its award-winning achievements are impressive. 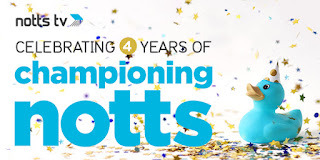 ‘Championing Notts’ is its brand - and that’s what we do. From the fresh and energetic evening magazine, ‘Ey Up Notts’ to the weekly insight into local sport ‘Sportsweek’, the weekly ‘Notts On Stage’ programme and the history programme ‘Rediscovering Notts’. It’s easy to be sniffy. Whilst the quality of our programming will never be Blue Planet - it is certainly as good as - if not better than - some lower budget material from many broadcasters. I’d ask the sniffers to try doing better on our resources. I am simply astounded by some of what is achieved by a small team of creative hard-workers. And, to those locally, who may feel that a particular valuable programming strand is absent, this is your channel - come to us with a suitable idea and a way of funding that content, and we’d be happy to work together. Early audiences, when we had the luxury of Sky carriage which has sadly been a casualty of cost-savings, were impressive, placing us alongside local radio offerings in terms of weekly penetration. Now, on Freeview, Virgin and also streaming, response continues to be excellent. As a Nottingham lad, I am proud that - with the support of NTU and the vision and effort of our CEO, Confetti’s remarkable Craig Chettle - Nottingham has a TV channel of its own. I’ll do my best to see it continue to be something to be proud of. The number of talented individuals who have already emerged from Notts TV on local and national TV and radio is impressive. As for the other channels around the country, they will plough their own furrows. I believe only with very inventive solutions, as we have engineered, can local TV survive and flourish. Jeremy should have thought of that. 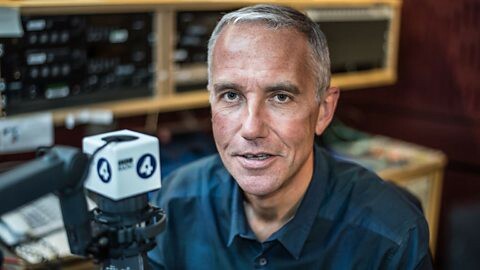 How Indignant May Eddie Mair be on Commercial Radio? As Eddie Mair slides off his sticky BBC headphones for the last time and hands over his lanyard, what will he be thinking? 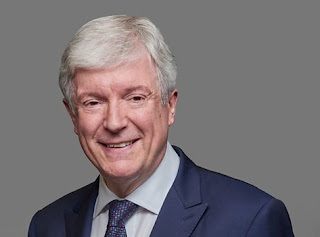 With due respect to his many accomplished colleagues who have hosted PM frequently and excellently, it is Eddie who has defined the immaculate style of the programme in recent years. Even when he enjoys a scheduled day off, one can still hear his ghostly shadow in the cue-writing. In his Radio Times column he just said it’s time for a change – and insists it is nothing to do with the various BBC pay issues. One imagines he has grumbled over the years as much as anyone about Auntie’s weird ways – and also loved her for a million more reasons. Now, LBC calls - and Eddie appears content to be associated with it. It is a huge tribute to Global Radio for building LBC into the respected titan it is today. Although one imagines the company’s FD still scratches his head about the costs and revenues, thankfully the music brands are sufficiently successful for the parent company to regard the station as something which has a broader value beyond specific profits. As Eddie falls into his pristine silver LBC chair and assumes presidency of the station’s telegenic main studio, he will know that for the first time, the BBC editorial guidelines may be forgotten. Ofcom alone will now rule. Will that make a difference? Eddie will determine his LBC persona and he may stay just as he is. After all, there has always been a real authenticity about his presentation. That’s why listeners liked him: they felt they knew who he was. But one felt he was maybe just straining at the leash – getting away with mischief with a glint in his eye. On LBC, the leash is off and Eddie can go running into the adjacent field and chase the sheep - should he wish. We know that LBC likes its presenters to stand for something - and expends some degree of effort in squeezing the BBC-ness out of some prospective recruits. How different are the rules? The BBC requires that “due impartiality...and...a breadth and diversity of opinion...so that no significant strand of thought is knowingly unreflected or under-represented....fair and open-minded when examining evidence and weighing material facts". Furthermore, “not influenced by outside interests, political or commercial pressures, or any personal interests”. “Our output will be based on fairness, openness, honesty and straight dealing. Contributors and audiences will be treated with respect." The BBC even goes beyond what the Charter requires – requiring due impartiality to all subjects. Not just matters of public policy or political or industrial controversy, but controversy within religion, science, finance, culture, ethics and the like. In news itself – the rules remain familiar across BBC guidelines and Ofcom’s Code. Both the BBC and Ofcom require that “News in whatever form must be treated with due impartiality”. The word ‘due’ is scattered across all broadcasting rules, meaning not necessarily equal proportions but 'due weight' – so minority views are not necessarily afforded equal weight to the prevailing consensus. The BBC requires “a breadth and diversity of opinion...fair and open-minded when examining the evidence and weighing material facts". 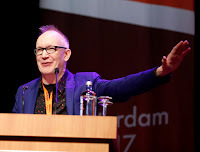 Furthermore, ”audience responses should not be given a wider significance than they merit and we should take care not to misrepresent the relative weight of opinions expressed...appropriate scrutiny to audience opinions and ensure that the debate does not appear closed to members of the audience who support a minority view”. There is specific provision in the BBC guidelines about highly controversial ‘major matters’, where the different perspectives are more rigidly implemented, as there are in the Ofcom Code. What of the individuals? The BBC worries not only about reality – but about “perception”. "Our audiences should not be able to tell...the personal prejudices of our journalists or news and current affairs presenters on matters of public policy, political or industrial controversy, or on 'controversial subjects'". They may provide evidence-based judgements, but not personal views, including online. "The public expression by staff and presenters of personal offence or indignation risks jeopardising the BBC's impartiality." So. It's official. Eddie may now be as indignant as he fancies. 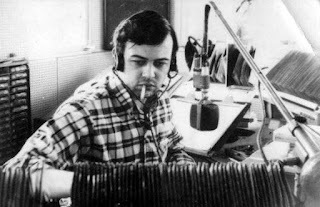 Little wonder how liberated Robin 'The World Tonight' Lustig felt as he left the BBC "When I started writing my post BBC-blog, I discovered the angrier I sounded, the more widely read my blogposts were". BBC programmes are additionally covered by much of the Ofcom Code too, so the below will always have been in place for Eddie - but now, they are the sole requirements. Whilst the BBC is petrified about ‘perception’ of bias any personal presenter interest may generate, Ofcom simply demands that the presenter tells us the score. "Any personal interest of a reporter or presenter, which would call into question the due impartiality of the programme, must be made clear to the audience.” No-one is misled about Farage’s perspective. “A personal view...programme...must be clearly signalled to the audience at the outset”. Ofcom adds helpfully: "(Personality phone-in hosts on radio are exempted from this provision unless their personal view status is unclear)"
I guess, therefore, if Eddie is to adopt a stance on things, he needs to make his status clear pretty swiftly. I can rustle up some idents if he wants any fitting sweepers: “Eddie’s a raving leftie/rightie/liberal who favours soft/hard/no Brexit and supports/hates/not really bothered about another Heathrow runway”. Ofcom requires that “no politician may be used as a newsreader, interviewer or reporter in any news programmes unless, exceptionally, it is editorially justified". In that case, "the political allegiance of that person must be made clear to the audience”. Due impartiality outside news bulletins is the biggie. Ofcom requires** that "due impartiality on matters of political or industrial controversy and matters relating to current public policy" be preserved "within a programme or over a series of programmes". Under Ofcom, “presenters of “personal view” programmes may “express their own views on matters of political or industrial controversy or matters relating to current public policy”. However, “alternative viewpoints must be adequately represented either in the programme, or in a series of programmes taken as a whole”. Additionally, “presenters must not use the advantage of regular appearances to promote their views in a way that compromises the requirement for due impartiality. Presenter phone-ins must encourage and must not exclude alternative views”. LBC does all this with distinction. Not only are there clear differences across the schedule in tone and approach, a wealth of views are heard within, often lending powerful and personal insight. Some idiot tweeted me suggesting that James O’Brien’s producers filter the callers so that no contrasting views are heard. If only they saw the smile on a presenter’s face when a caller spits blood about what's been said. LBC treads a careful path and has famously recruited a rainbow of politicians to present programmes. 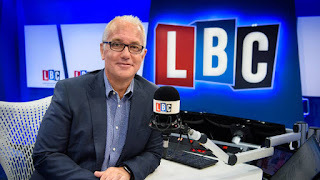 When programmer Martin Campbell was at Talk Radio UK in the 90s, and I was a regulator, he was keen to do much the same there, although LBC has developed the policy with aplomb – seizing the headlines and creating compelling radio. It has not descended into a succession of shouty right wing hosts, as in other countries. The approach is unique and beautifully British. The BBC demands "respect" of contributors. That word is not in the Ofcom Code. Contributors to commercial radio do have a right to fairness - to know what's expected, the context, the general topic and the like - but not your actual full-blown "respect". If Eddie wants to say "Boris Johnson, you're a nasty piece of work" he can. Not that anyone stopped him saying it before on the BBC, in that delicious way of his. One imagines Eddie's regular listeners, having discovered how to re-tune their radiogram, may be in for a shock or two, though, and Ofcom may have to cancel all holidays. Overall, there are differences - principally in how free Eddie can be in having his own stance - and to express himself more in other media - but it's more about authenticity than bias. Rules aside, a rich layer of Corporation caution gilds the BBC guidelines, contrasting with LBC's agility and challenger nature - a position they manage brilliantly. I hope we hear more of his humour on LBC - and I hope he gives something more of himself. We know just enough about James O'Brien and Nick Ferrari to care about them, but Eddie has traditionally not wanted to say very much about what makes him tick - and I'm curious. From his book, I know he is not a fan of radio awards, worries about technology and made Doris Day cry. It will be fascinating to hear him unbridled. His style and tone will likely evolve and six months on, he will sound different from Day One. But one expects that even at this moment - as he mops his brow and titivates his herbaceous border - he's jotting down clever asides he's been dying to say for years. Whilst the salary details attract the headlines, it’s important to look inside - in this first full year of a new Royal Charter and BBC iPlayer’s best ever year. BBC local radio merits a mention in the opening paragraphs - and we hope it’s not 50 years before that happens again. He also points out level of trust which BBC news enjoys. When people want news they trust – and accuracy – 55% say they plump for the BBC. Whatever Twitter might suggest, I believe most sensible folk agree the BBC tries its best. If it gets it wrong, Ofcom can now send off nasty letters, and those rare upheld complaints suggests the system is working – not the contrary. The DG makes mentions too of "false news": “if it is often hard for adults to tell the difference between fact and falsehood, it is even harder for young people”. My jealousy of Tony’s healthy head of hair is distracted only by mention of the "reinvention" of BBC local radio. “Local radio is in the DNA of our communities; part of what defines them. Great local radio is not about broadcasting to audiences, but broadcasting with them”. Yes. Let’s make sure the path ahead for those stations is well-chosen and implemented with real operational focus. In "reinventing" the BBC overall, he stresses the sleep he's losing over the financial challenges: “tougher than ever”. “We have worked hard to make sure that the organisation is run as efficiently and effectively as possible, and to redirect spending and simplify procedures”. Judging by what I’ve seen and heard from others, there are few in BBC radio who cannot see scope for further eminently sensible savings and certainly simpler procedures. It’s reported that the length of time spent by UK adults (16+) with BBC Radio each week is relatively stable, down 6 minutes to 10 hrs 3 minutes. Ipsos Mori suggests 81% of people say it sets a high standard for quality; and 77% say it is effective at being distinctive. In evidence of high quality, Natural Histories, Living with the Gods, Sunday, Beyond Belief, The Moral Maze, The Life Scientific, the Infinite Monkey and the truly beautiful Dawn Chorus are commended, as is Radio 4 marking 50 years since the first heart transplant. Partition Voices was said to have highlighted untold stories and Ten Days That Shook the World is mentioned. Jeremy Bowen’s compelling Our Man in the Middle East 25 part-series also receives deserved acclaim. 5 live is lauded for its six ARIA awards and #mumtakeover, reaching more than 3.5m on social media. 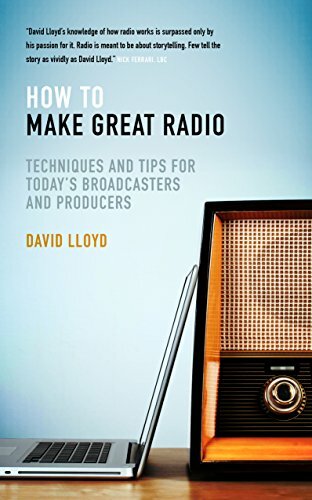 I always find it puzzling that Radio 4’s Today Programme (accounting for almost a fifth of all breakfast radio listening), WATO, PM, the World Tonight or the 6 '0 Clock News rarely merit mention in annual reports. Do they not make an appreciable contribution to delivering impartial news? Under the ‘Delivering Impartial Information’ heading, the BBC is keen to highlight Radio 1 Newsbeat’s efforts in tackling mental health issues. Indeed, across both sectors, radio's done some good work in this area this year. Radio 4’s The Art of Living is cited for its arts coverage as is Open Book, Free Thinking, Only Artists and Front Row on Radio 4. I hate the latter programme simply for smelling too much like the dreaded Kaleidoscope, which was thankfully murdered in 1998. Radio 2’s the Book Club is also mentioned in dispatches. In drama, the BBC is excited about Radio 4’s ‘experimentation’ including the ‘innovative conspiracy thriller Tracks, the most visited Radio 4 programme online in the week it launched. Salman Rushdie’s Midnight’s Children is mentioned alongside Neil Gaiman’s Anansi Boys, Riot Girls and Radio 3’s focus on Joe Orton and Breaking Free, a Century of Russian Culture, featuring Turgenev’s Fathers and Sons. Also,a new production of the iconic radio play, The Dark Tower, by Louis MacNiece, a hugely influential BBC programme maker in the post-war period. It may be me, but it’s a long time since I smiled at anything new in that 630 comedy slot on Radio 4. BBC Radio “continues to champion rising stars in comedy and many of our comedy programmes appeal to large core audiences and new younger listeners”. Radio 1 is congratulated on its comedy in a new ‘late-night slot’. If 3-4 a.m. is ‘late night’, BBC executives must live wild lives. But – it’s on demand too, which is frankly a sensible home. It’s pointed out that Radio 4’s comedy podcasts regularly appear near the top of the BBC podcast chart. “Listeners have been able to enjoy a range of different content online as we reinvent BBC Radio for a new generation”. The packaging and circulation of the BBC's excellent radio/audio offerings is indeed a powerful foundation for growth. Radio 4’s New Comedy Award has "recognised new comedians" and Nicholas Parsons is rightly congratulated for his incredible 50 years of Just a Minute. Honourable mentions too for The News Quiz, Miranda Hart’s Hampshire to Hollywood on 4 Extra. and the return of Hitchhiker’s Guide to the Galaxy. In sport, BBC Radio 5 live and 5 live sports extra were said to have “continued to offer a wider range of sports than any other UK broadcaster” including coverage of this year’s Winter Paralympic Games. Somebody troubled to count the commentaries too, or maybe just the invoices. 144 live radio commentaries in all: "more Premier League matches than any other radio broadcaster in the UK", while Test Match Special covered every England cricket match in the summer, complemented by a "digital clips" service. "The BBC sport website is ‘the most popular in the UK, attracting 19 million unique UK browsers every week". Radio 1 ‘brought some of the biggest names in music to the Teen Awards’ and 1Xtra celebrated its 15th anniversary with a special 1Xtra Live in Manchester and distinctive programming included 1Xtra in Jamaica and coverage from carnivals around the country. Perhaps protecting the Radio 1 brand, nothing is said about Radio 1's 50th anniversary. For the first time, BBC Asian Network’s flagship event, Asian Network Live, was held in Birmingham and Radio 2, "the most listened to station in the UK", marked its 50th birthday by taking Soul Zone to Manchester for the first Radio 2 All Star Party. Its "commitment to specialist music" was said to be reflected in the Folk Awards and the In Concert series celebrated artists from the past five decades. ‘Radio 6 Music’ (whatever that is), reached record listeners this year, and ‘championed alternative and independent music including Hip Hop Hooray’. They point out that "with over 300 live performances, 6 Music broadcast more live music than any other station in the UK". Radio 3 broadcast Music of the Reformation and seven operas and curated a day of female composers to mark International Women’s Day. The BBC is committed to “reflect and represent...nations and regions and support the creative economy”, and will measure performance “against our ambition to reach all audiences through a range of audience panels, focus groups and satisfaction surveys”. It cites 1Xtra’s Carnival Weekend; Levi Roots’s series on reggae on Radio 2; the Asian Network’s Comedy Nights; and "Radio 1 and 1Xtra’s output for young people". 47% of BAME 16+s use BBC radio in the course of a week, up on the the year before, but still well short of the reach amongst all adults – and they listen for just 4 hours and 41 minutes a week. One can expect the BBC to be doing much to grow those figures if it is to achieve its aim. Radio 3 is proud that the number of female record reviewers has risen to over half; and is identifying ‘forgotten’ female composers. In its goals of disabled, BAME and women employees, both overall and in leadership, the BBC is approaching its targets, and comfortably ahead of many other broadcasters. That is a good thing – and a focus we’d expect from this Chartered public Corporation. LBGT staffing and leadership levels are some way above all BBC targets. I’m a little unsure of any suitable strategy to remedy that. 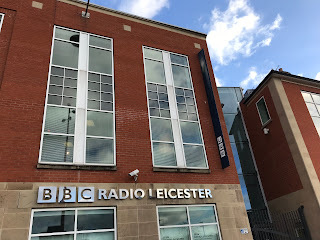 After rather too many years of hurt, it’s refreshing to see BBC local radio in neon lights, following the DG’s "new strategy for the 39 local radio stations". In a quiet word a few months ago, one very senior BBC executive suggested to me that Tony’s announcement had been "more of a speech than a strategy": the work on assembling and delivering a strategy now begins. He is going to "reinvent", making stations "even more local" and "more creative". Stalwarts will recall much the same words being used in 1967 and wonder why we ever went on the diversion. There’ll be “a greater emphasis on uncovering and nurturing new talent and building partnerships with groups not currently well represented” – and, famously, the shared evening programme will be replaced by new local programmes "reflecting the diversity" of the places each station serves - a little like the ones they took off five years ago. It’s now been over eight months since that announcement and, in most places, the programmes have yet to begin which says something about the Corporation’s slow cogs. If managers claim to have more important things on their mind, like sorting out the peak-times, I’d accept that as an alibi. And, whilst 'new talent' is critical in our medium, listeners may feel that some maturity and relevant experience should not necessarily count against an applicant. In its 50th year, BBC Local Radio in England "still attracts more than six million listeners each week". Does the ‘still’ indicate a level of surprise after all this time? 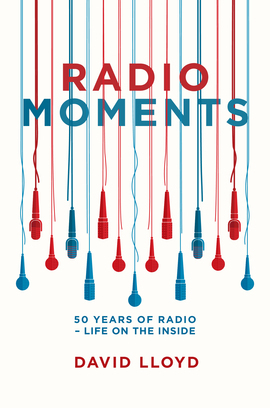 Radio Humberside gets its annual honourable mention. The BBC trumpets “an improvement to BBC local news online” which has “simplified the discovery of local content”. In honesty, I still find the journey to a BBC 'local live' online offering rather like finding one’s way round the Coventry ring road. The BBC’s Local News Partnership is detailed: funding 145 hungry new journalists, paid by the BBC but employed by outside news organisations, to report on the work of local authorities. Their material is shared with the BBC and 800 other news outlets. The general relationship between the costs of services is as one would expect. Speech costs a lot; small stations cost more to run than large ones. Repeats are cheap. 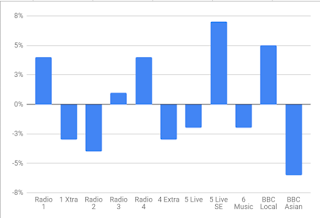 The cost of BBC local radio has risen by over £5m this year; but the cost per listener hour is relatively stable at 4.1p (was 4). 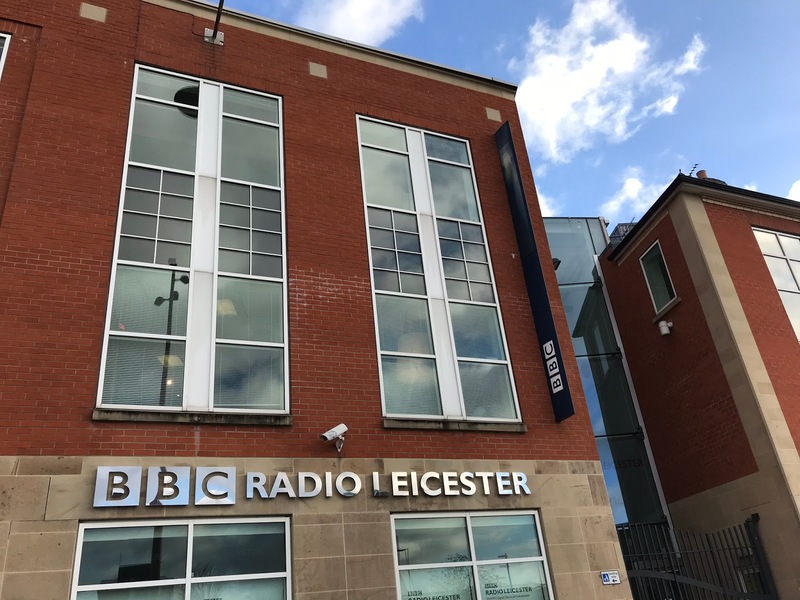 The significant BBC local radio hike must take into account the context of the large cost-base a multi-site, small scale operation will naturally generate – albeit it is still a 5% rise. One new managing editor at a local station said to me recently that they’d hit budget for the first time in ages but "no-one seems to have noticed or commended me for it". This local radio increased spend, of course, is prior to all the new programmes and appointments. I just hope the next DG is as locally sympathetic as this one, otherwise it'll be time to run and hide. Only 53% of Londoners use BBC radio weekly, compared with 75% in the South of England and 6%% in the North. 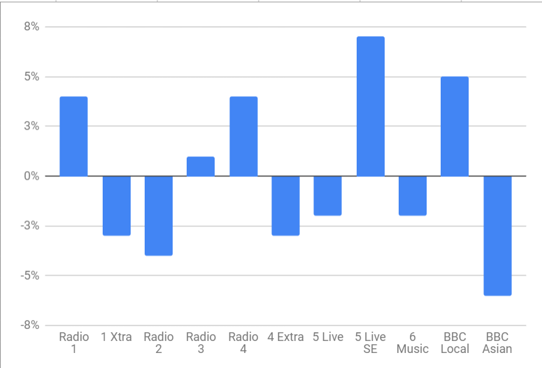 Radio 1 is up a bit in costs, but still down from as far back as 14/15. The cost of BBC Radio Wales rises from 9.1p per listener hour to 9.3p, but Radio Cymru’s cost per listener hour falls from 22.6p to 16.9p on the back of growing listening rather than significant savings. BBC Radio Scotland’s cost rises from 6 to 7.8p and BBC Radio nan Gàidheal from 15.6 to 20.8. BBC radio reaches 72% of people in Wales, but only 58% in Scotland – and 62% in Northern Ireland, where it’s also cheaper per listener hour than Wales or Scotland. Staffing levels at the BBC generally have been “steady” in the past three years, with roles changing “significantly towards serving the audience and building BBC technology capabilities". Reductions in support and administration have allowed the licence fee to "support the World Service, create more original content and improve digital services”. Staff moves to Media City, the Mailbox and Pacific Quay, as well as the closure of TV Centre and other London premises "have helped change the geographical outlook”. The BBC has achieved a 57% reduction in the number of senior managers, from 614 in 2010 to 267 by 2018, saving £38m. They say “A simpler BBC also means senior leaders that are more visible, more accountable and more approachable”. Notwithstanding the achievements, I still feel there’s scope for improvement in both the numbers and the behaviours. In my old world, had the cleaner written to the chief executive with a question or point, they would have been seen worthy of a reply. Next year, the BBC says it will independently “review whether the organisation has some responsibility for freelance on-air presenters whom are now facing historic demands from HMRC after being paid through personal service companies". A contingent (unstated) liability was accordingly disclosed in the financial statements. The topic of salaries has been discussed fully by better folk than me. Suffice to say, top talent costs cash – and it’s absolutely correct that inequalities are being addressed. Let’s remain aware, though, that in this business, performers should be judged by what comes out of our mouths. What some people say - and how they say it - is better than others – and generates higher audiences and audience satisfaction. Even if those individuals sit side-by-side. Experience, reputation and listener-love must count for something. As we know, but others don’t, those mega-figures are not typical. More everyday BBC radio staff are rewarded relatively well, many with reasonably attractive packages when taken as a whole versus what they might earn elsewhere, but there are some on the periphery who wonder whether they can afford to go to work. The BBC aims to spend no more than 15% of overall 'internal spend' on content on on-screen and on-air talent. In reaching international audiences, the BBC World Service is rightly said to be “one of the UK’s most important cultural exports – attracting a global audience of 160m. It inspires and illuminates the lives of millions around the world”. The expansion is highlighted – the biggest since the 1940s, back to operating in more than 40 languages, as it used to some years ago under its former funding model. Impressively, a quarter of its weekly global audience is said to be aged between 15-24. I have a lot of love and respect for that service. The BBC recognises that “over the longer term all broadcast television as well as BBC Radio have trended downwards as new competitors grow significantly. This is particularly the case among those aged under 35, and public service broadcasting will need to work hard to maintain relevance to younger generations”. Young adults (16-34) spend more than four-and-a-half hours per week with music streaming services – roughly equivalent to the time they spend with BBC Radio. That said, across all platforms, the BBC remains the single media provider with whom adults of all age groups, including young adults, spend the most time. The BBC will always have a tough job. It will always get criticised. Too left. Too right. Too populist. Too niche. Too expensive. Too many cuts. Too safe. Too naughty. It's not an easy gig. Now, more than ever it demands clear and visible leadership, clean reporting lines, solid delegation, creative thought and - most challenging of all for an organisation of this scale - agility. This report offers a decent account of the last year which has been a little less troublesome than prior years, although not without its skirmishes. Perhaps it portrays, however, a strange perspective of BBC radio content, maybe owing to the document's intended audience. Were I Chris Evans, I'd like to have a little more about my contribution than an aside about Children in Need. Were I Jeremy Vine, I'd like to think I bring some value to news and current affairs on radio - not least as I reflect on my 15th anniversary on the programme. Were I toiling away hosting a spectacularly powerful regular BBC local radio programme, I'd like some credit. Were I Radio 1 Controller, I'd like a little more credit for all I'd done across platforms chasing those audiences you are worrying about. Were I John Humphrys or Nick Grimshaw, I'd like some mention of what I do, rather than just my salary. Readers of my blogs will know of the real radio stories, the anecdotes which illustrate the genuine power of this beautiful medium. Annually, though, the programme examples read as if written by a posh bald bloke rifling through a copy of the Radio Times - calling upstairs to his privileged teenage son for a contemporary reference every now and again.